Having tried various other forms of Martial arts, Ju-Jitsu had always appealed to me. I watched a young instructor at a MMA club grapple with a much larger kickboxer and was amazed to see him throw the kickboxer to the ground and control him with ease. I did a little research to find the best club and the one name that was consistently recommended was Wakarishin. Yes, I was keen on most sports when I was young and had tried Karate, Judo, kick boxing and MMA. My daughter wanted to try MMA but was too young at the time. She has had ongoing health issues that began to affect her confidence and we thought that Ju-Jitsu might help. We entered the Basildon club and could see a class of adults and juniors performing various drills and we were instantly impressed with their skills and discipline. We were greeted by a very friendly instructor who explained a few things about the club and asked my daughter if she would like to watch or join in. To my surprise my daughter went straight onto the mat with the instructor and was supervised well at times. The other children made her welcome and took extra care of her which made her feel special. Within a few lessons her confidence had returned and I decided that I should give it a go. Four years later and now I and my two youngest children all train and feel like we are a part of a large family that is Wakarishin. I started to think about it early on but around the time I received my green belt I knew it was a goal I had to achieve. Yes but well worth it. I think that most assume a black belt means you have mastered that form of martial art but I quickly released that I will never stop learning. It is a special feeling and has changed me for the better in so many ways. Ju-Jitsu has made so many positive changes to my life. I always felt that other forms of martial art were missing something. 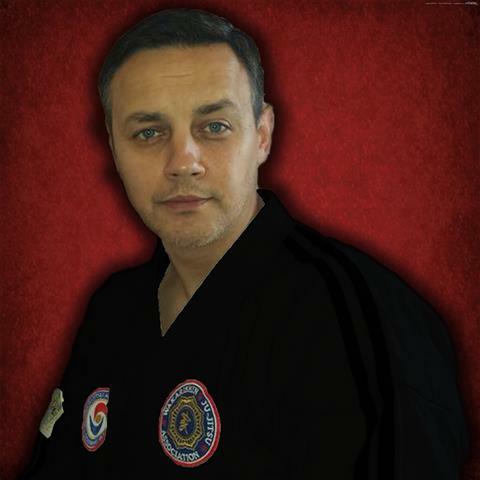 Ju-Jitsu covers all forms of martial arts and has evolved over thousands of years and is still evolving today. It very much depends on the individual and their reasons for training. I try to train at least twice a week for around 4 hours but if I am preparing for competition or grading I might train 5 or 6 times a week for a up to 10 hours a week. For most people once or twice a week should be fine but Ju-Jitsu can be addictive. Stick with it as at first there were times I wasn't completely sure if this was for me. When I watched some of the higher grades I could see the potential and decided to stick with it. By the time I had achieved my green belt I really began to see its full potential.